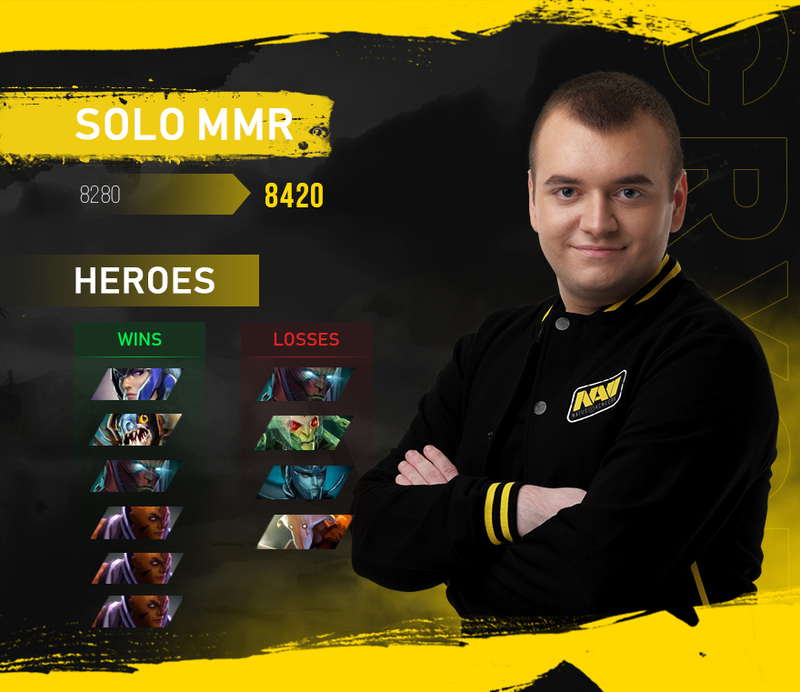 How Natus Vincere met the third ranking season? 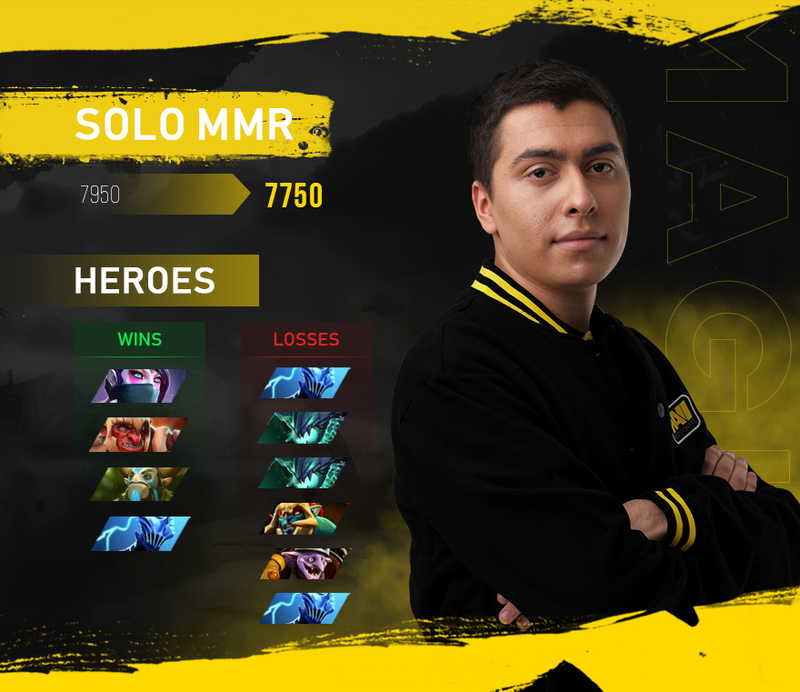 For the start of the third rating season, we decided to take a look at how the players of NAVI.GG.BET calibrated in solo matchmaking. For convenience, all the numbers, as well as the first 10 matches of each player were combined into a small infographic. Let's start with our carry, Vladyslav «Crystallize» Kristanek, who finished last season with 8280 MMR. 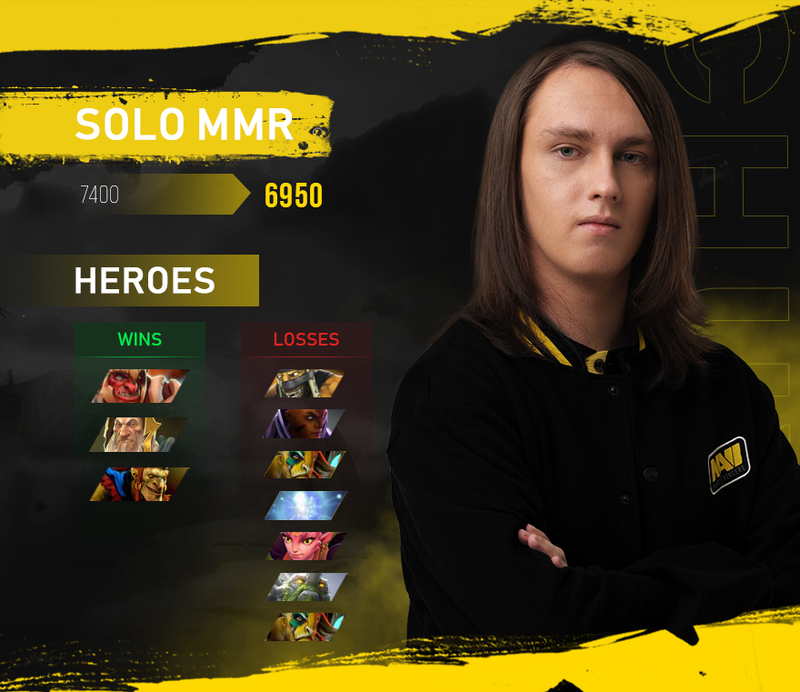 After playing the calibration matches, his rating has grown, and at the time of writing this material, the player is in the top 10 of the solo matchmaking leaderboards in Europe. As for the heroes utilized during the calibration, Crystallize played only on core roles — Anti-Mage, Terrorblade, Medusa, Juggernaut, Slark, Phantom Assassin and Luna. The mid player Idan «MagicaL», Vardanyan had a little less success in his calibration: he dropped 200 MMR, despite winning 4 out 10 games. He also played on his main position heroes: Templar Assassin, Razor, Outworld Devourer, Huskar, Timbersaw, Troll Warlord and Nature's Prophet. At the time of this writing, MagicaL occupied the 113th place in the MMR leaderboard. 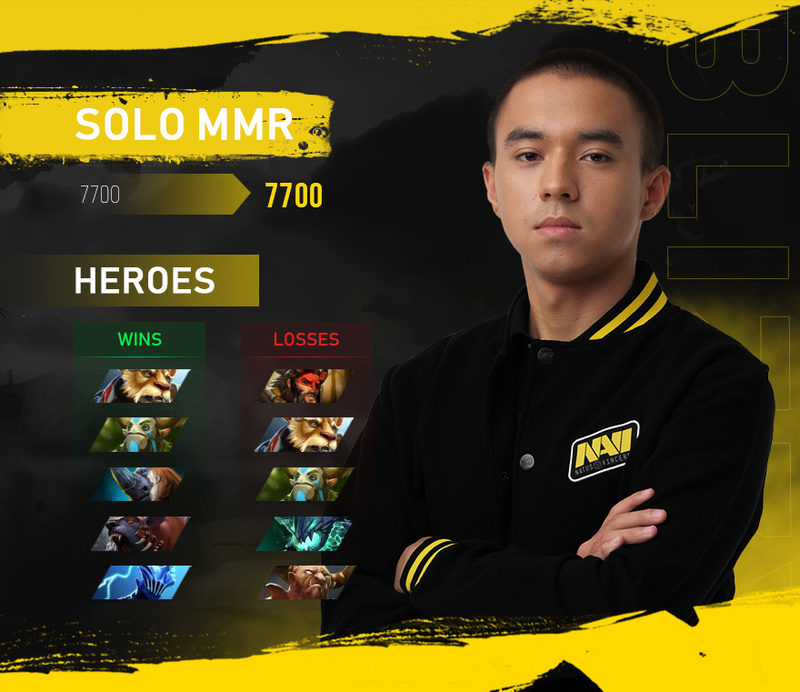 The solo rating of our offlaner Eugenii «Blizzy» Ri remained exactly the same (7700). He utilized such heroes as Brewmaster, Magnus, Nature's Prophet, Outworld Devourer, Ursa, Razor, Beastmaster and Centaur Warrunner — both, the very usual heroes and no so much for the player Blizzy. In the MMR leaderboard, the player now occupies the 102nd place. The least fortunate was Evgenii «Chuvash» Makarov, who went somewhat unsuccessful through the calibration, losing 7 games out of 10. Thus, his solo rating dropped by 450 (6950) points compared to last season. In the calibration matches, Chuvash used heroes from a wide range of positions — from Anti-Mage to Dark Willow, which is more suitable for him. Now he occupies the 347th place in the leaderboards. 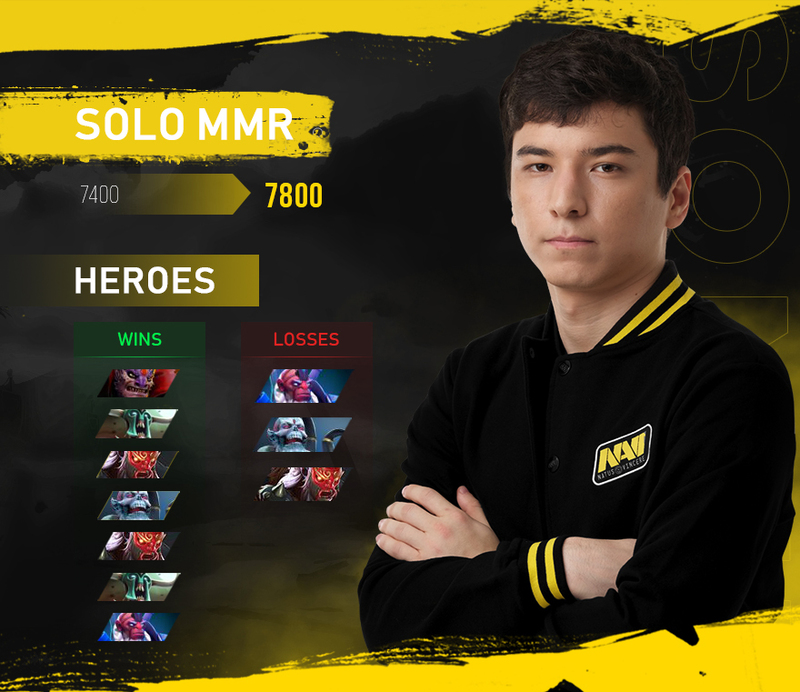 The captain of the team Akbar «SoNNeikO» Butaev, got the most out of the calibration, gaining 400 (7800) more points than his previous MMR. And note that he only played on a support positions: Undying, Grimstroke, Lich, Lion and Disruptor. 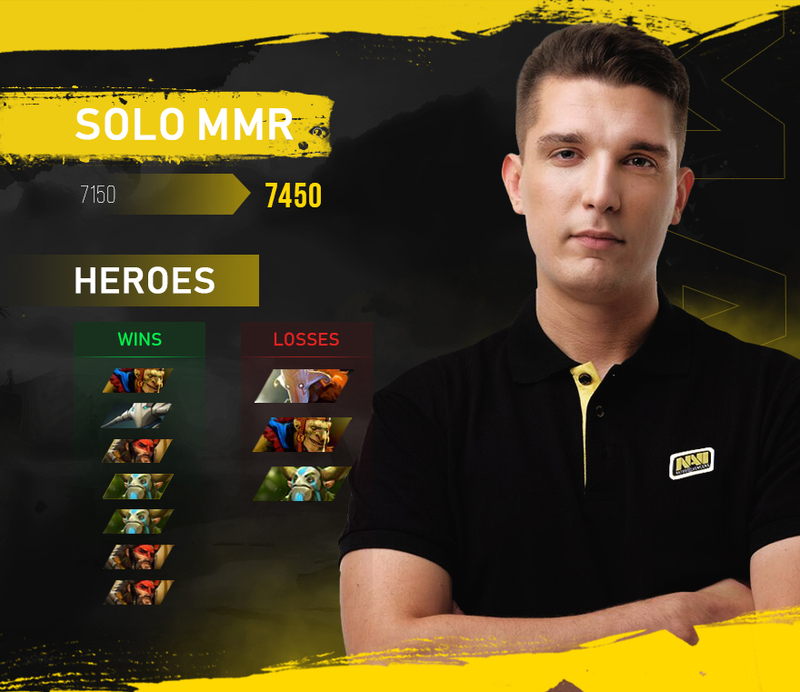 As a bonus, it is worth noting Natus Vincere coach Andrii «Mag» Chipenko, who significantly improved his solo MMR after the calibration. So, his rating right now is 7450, which is 300 points higher than last season. Mag predominantly used offlane heroes — Beastmaster, Nature's Prophet, and Batrider — as he played in this position during his competitive career. How about you, how the calibration went for you? Share in the comments your results!